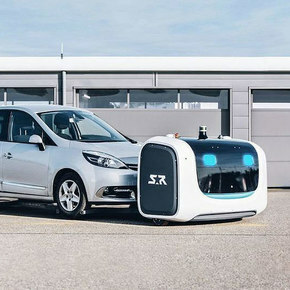 The car-parking robots from Stanley Robotics will save travelers time as they rush to meet their flight. The robots rely on AI to navigate to the cars, pick them up with their forklift-like arms, and slip them in parking spaces, fitting 50 percent more cars into the lots than human drivers. The bots can also access each car owner’s flight information in order to deliver the car to a designated location, saving the owner the trouble of locating the car in the lot.